For, two straight years, steelmaker, ArcelorMittal USA has earned distinction as an ENERGY STAR® Partner of the Year. This year, they received the highest honor as a Sustained Excellent Award winner. They are the only steel company to ever receive ENERGY STAR® recognition and they aren’t slowing down at all. 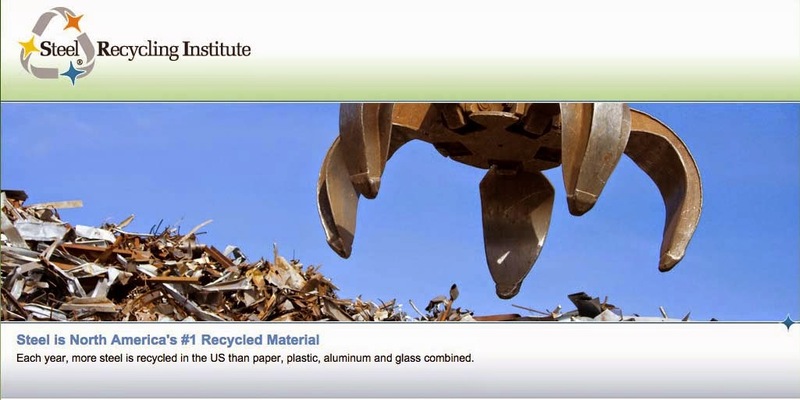 In January 2006, ArcelorMittal USA launched an Energy Reduction Initiative. Their primary focus being to conserve energy, and standardize the most efficient business practices. Since its inception, there has been a 4.1 percent energy reduction and $131 million in savings. A 10-year energy reduction plan is in works, to continue accomplishing these goals and savings. One of their many projects is harnessing “wasted” energy that is continually being produced at their facilities. The largest blast furnace in North America is located at ArcelorMittal’s Indiana Harbor facility with 46 billion cubic feet of gas flared annually instead of being reused. With the installation of an efficient recovery boiler, it will utilize the gas generated during the steelmaking process to produce electricity and steam on-site. It’s estimated that 3.66 trillion BTUs will be used annually from the waste gas, preventing it from being flared. This would have the same environmental impact of removing 62,000 cars from the road for a year, or powering 40,000 households over the same period. The project required a commitment of $64 million, about half coming from the U.S. Department of Energy. The estimated completion date is March 2012 and will utilize a vast fuel source to produce electricity and reduce the company’s demand for purchasing electricity from less-efficient and environmentally conscious coal-fired power plants. Meanwhile, changes continue to be made. In the past, four descale pumps were used in the hot strip mill to remove scale from the steel slabs. By only using three pumps, without risking any change in quality or performance, they would use less water and energy. There are improvements scheduled to take a second pump offline and ultimately save the company $1.4 million a year. Also happening in Indiana Harbor, other technological advances were implemented including infrared cameras to detect gas leaks and optimized heat transfer properties. These improvements, among others, helped reduce natural gas consumption by more than 26 percent last year. Less then 20 miles away, ArcelorMittal’s Global Research and Development Center has been working on a computer model to assess the economic impact of decisions by engineers and operations managers. It’s flexibility in being transferred and customized to individual plants have locations in Mexico and Canada expressing strong interest in implementing programs. Several other mills continue to make advances in efficiency and energy conservation. One thing is for sure, ArcelorMittal has distinguished itself as a company leading the way towards a better tomorrow. For many years, the Cleveland facility has had insufficient generator capacity available. The installation of an electric generator at one of the facility’s powerhouses will capture blast furnace gas, a byproduct of the steelmaking process, to generate valuable electricity. The new generator is more efficient and overall, the project will increase internal energy generation at the facility an average of about 15 megawatts, resulting in less power being taken from the power grid. This energy savings is enough to power 15,000 homes. This project utilizes the blast furnace by-product fuel more efficiently, reduces maintenance on the existing generators and will increase ArcelorMittal Cleveland’s power system reliability. The salvaged generator and turbine came from unused assets at other ArcelorMittal facilities and is expected to save $3 million in the first year. Over the past year, the facility worked closely with an onsite contractor to implement an automated energy management program in the rolling mill. With nearly no cost to implement, the project has resulted in a $1,300 per week savings in electricity costs plus additional benefits. The pump management system responds automatically to the facility operating delay cues. Since implementation, the program has saved more than 6,000 “pump run hours” and more than $130,000. Similarly, ArcelorMittal Conshohocken added a VFD (variable frequency drive) on its descaling system which allows the 3500 HP motor to idle when the facility is not descaling - approximately 98 percent of the time. This upgrade will save more than $100,000 each year. The project has been shared as a best practice globally and across the U.S. Many of the practices are starting to be implemented in other U.S. plants. ArcelorMittal Weirton has reduced its natural gas purchases by $5.5 million from 2007 to 2008 due to a number of projects. One project was the installation of a direct steam injection system and another project replaced missing insulation on steam lines and equipment thereby minimizing heat loss throughout the steam distribution system. The facility also lowered the operating pressures of its power boilers by 30 percent, which reduced the natural gas needed by 5 percent. I/N Tek & I/N Kote, New Carlisle, Ind. The plant’s steam requirements are supported by two 50,000 lb/hr package boiler and a waste heat boiler, which utilizes waste energy from the annealing furnace rated at 230 mmBtus/hr. Two capital projects to reduce energy use were recently completed and are now in service. One replaced an economizer on one of the natural gas fired, water tube package boilers and the boiler controls with the addition of a stack oxygen sensor to increase controls. At current operating conditions and cost of fuel, the estimated cost savings for both of these improvements could be up to $50,000 each year. The other project converted two roll heating furnaces from natural gas fired to electrically heated units. Now these furnaces can be operated with higher reliability and heating efficiency. The flexible and reliable control provided by the new furnaces will allow the facility to operate the furnaces only when needed, saving more than $30,000 annually. I don't know about the cost savings hype for conshohocken. By not running the river pump as much all 3 descale pumps needed to be rebuilt due to sludge being reycled thru the pumps and not being diluted by freesh water costing $250,000. Sometimes 2 descale pumps are run simultaneously and the vfd only handles 1 pump and that is if the vfd is working. A 10 million dollar motor burned up. That was no cost savings of any kind. Mill capacity was unfavorably affected by it. A furnace exploded causing additional loss of productivity. The engineering building was sinking due to a massive underground leak of mill water.